Dr. Tyler Jacques, Washington DC dentist, was raised in a family devoted to dentistry. In the small Northern Michigan community where he grew up, Dr. Jacques’ father was a dentist and his mother was a hygienist and office manager for more than 30 years. 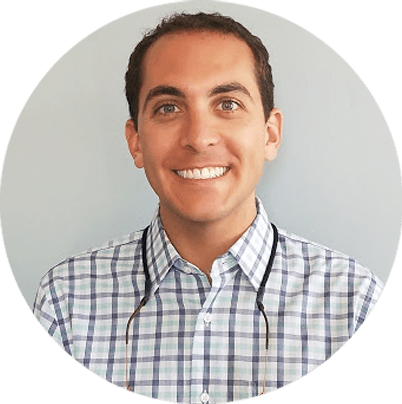 Dr. Jacques’ saw firsthand how dental professionals build lasting relationships with patients and knew that dentistry was the perfect career for him as well. As a graduate of the University of Florida’s College of Dentistry, Dr. Jacques had the opportunity to study at one of the nation’s top schools for dentistry. After completing school, he took over operations for his father’s practice and also worked for four years in Chicago as an associate dentist. While in Chicago, Dr. Jacques dedicated much of his time to working in a clinic for underserved individuals. From exploring local restaurants and shops, to walking his French Bulldog in the beautiful parks, Dr. Jacques is excited to take full advantage of everything the Capitol Hill community has to offer. In his spare time, he enjoys jogging and biking.